As the founders of Whiteboard Academy, we have participated in over 300 Innovation Sessions over the past 20 years with companies large and small. We believe that incorporating visual innovation into the workplace can change the way you develop and deliver winning ideas, it can alter your company culture, improve results and transform the way you do business. Diane Bleck is The Doodle Girl, and she is transforming the world. She has been an Innovation Strategist for over 20 years and has worked with business leaders around the world to create award-winning content that inspires individuals and teams to take their creativity to the next level. Diane is based in Chicago, Illinois. Diane opened The Doodle Institute in 2014 to teach individuals and families how to unlock creativity at home and school. Over the past three years, more than 3,500 students have enrolled in The Doodle Institute and transformed their lives by learning to connect pen and paper to access new ideas, insights and inspiration! Mike Schlegel, who usually just goes by his Indian Princess name, “Muddy,” lives in Raleigh, North Carolina with his wife and three daughters. Muddy had a distinguished, 20-year professional career in watershed management, where he specialized in facilitating collaboration and helping diverse stakeholders find agreement to complex regional issues. 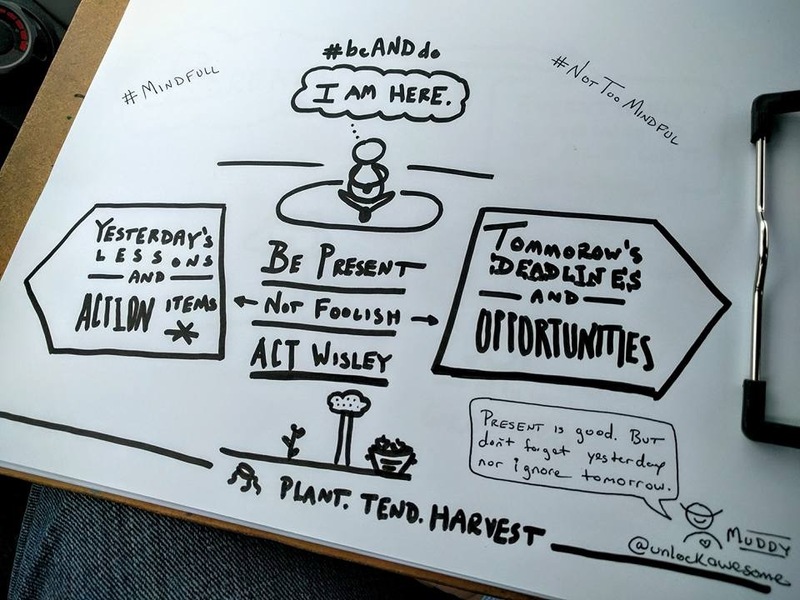 In 2014, Muddy had a huge “lightbulb moment” during a graphic facilitation workshop when he realized he’d always been a visual thinker, and so he then set out to learn more. After exploring the full range of training options, he enrolled in The Doodle Institute… and that’s where an awesome collaboration began. Muddy thrived in the courses and within the online community, and became a champion for visual innovation. His encouraging spirit inspired fellow students, and after completing the courses and becoming a Certified Graphic Facilitator, Diane invited Muddy to become a Co-Instructor at The Doodle Institute. He continued to thrive as a Co-Instructor, and Diane and Muddy brought out the best in each other. 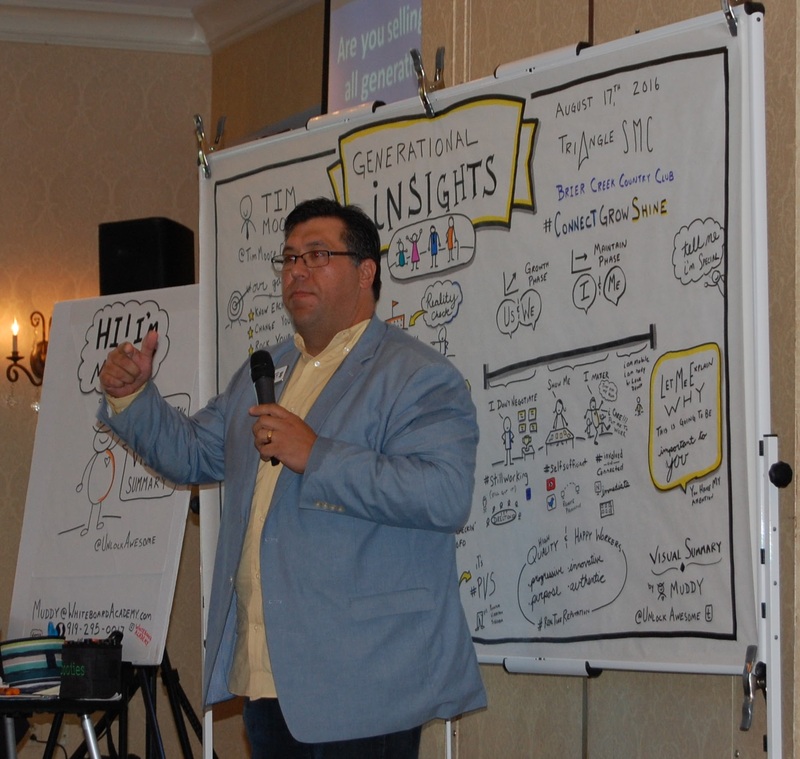 Muddy incorporated what he was learning into his profession life, and began to soar even higher, quickly realizing the incredible impact of using his visual facilitation skills in the business world. He decided to step out in courage and put his visual superpowers to work full time and opened the Whiteboard Academy. 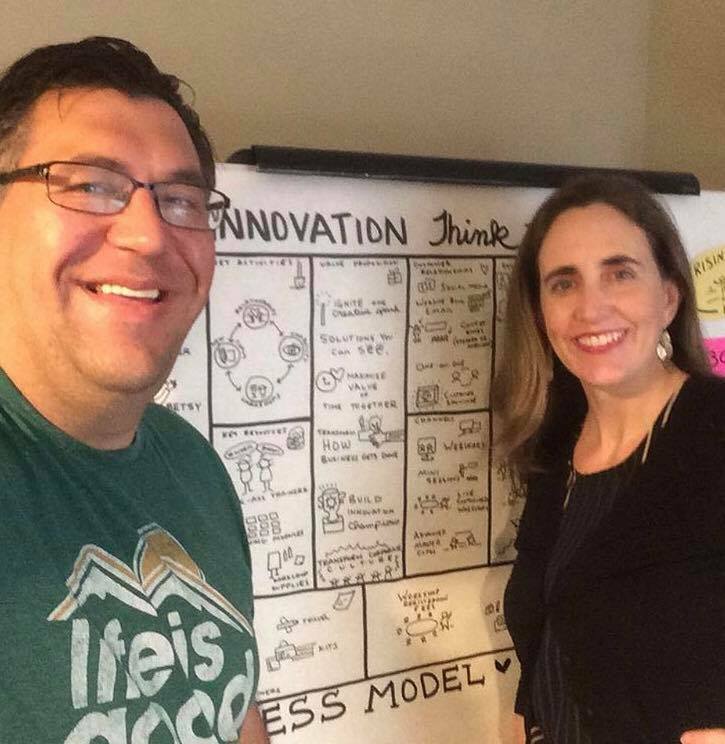 In 2017, Muddy and Diane became business partners and co-founders in the Whiteboard Academy, where they are using their leadership, creativity and innovation to transform the business world. Together, through the Whiteboard Academy, they are on a mission to help others help others unlock awesome through visual thinking. 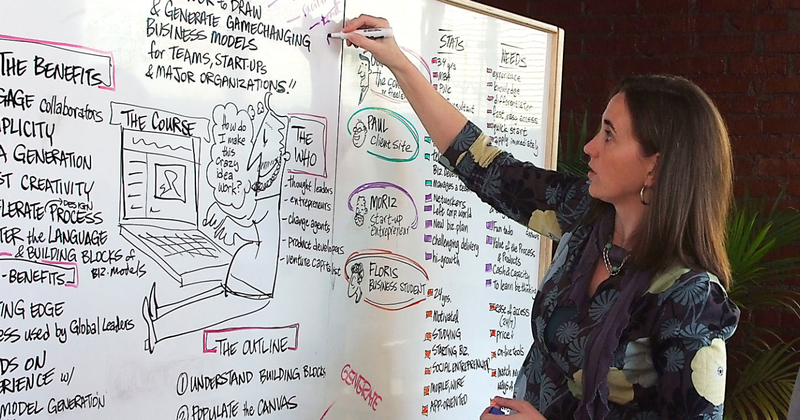 The Whiteboard Academy provides live illustration to capture key ideas at meetings and events, whiteboard animation that brings ideas to life, and graphic facilitation that supercharges engagement and collaboration to help teams and rising leaders deliver solutions you can see. 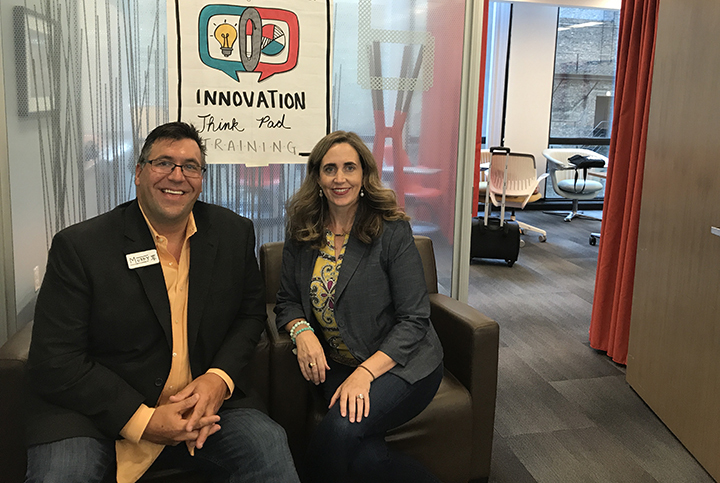 Diane and Muddy also brought their world-class Visual Innovation Training under the Whiteboard Academy and are training businesses how to use visual learning as a powerful tool for critical thinking, problem solving and strategic planning. They are unlocking whiteboards around the world and fundamentally changing the way employees experience meetings when they lean in and listen with a pen. Whiteboard Academy trainings help organizations implement system-wide innovation to change the way they develop and deliver winning ideas, improve company culture, increase results and transform the way they do business. #Boom!